The San Diego Padres are the only Major League franchise without a no-hitter. 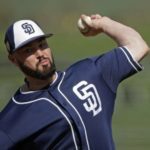 Tyson Ross and Jordan Lyles both came close earlier this season, but fell short in their respective attempts. Clayton Richard had a no-hitter going through the seventh inning, but fell short just like his teammates before him. 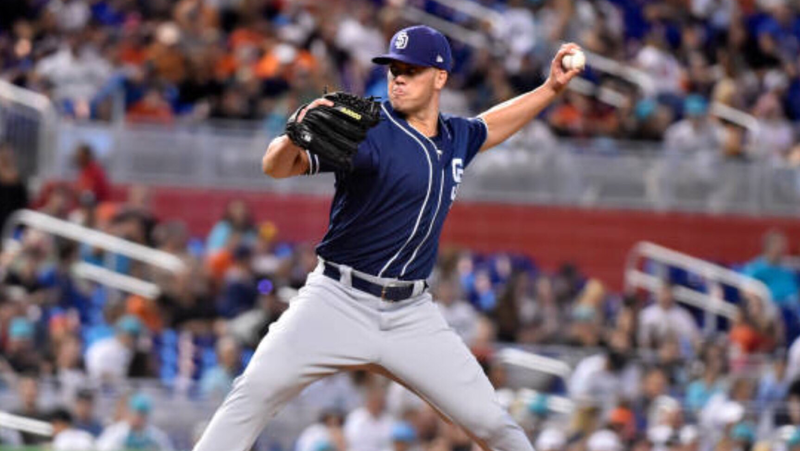 His outing was still more than enough to carry the Padres to a 3-1 series win over the Miami Marlins. San Diego would get on the board first in the second inning thanks to a lead off double from Hunter Renfroe. 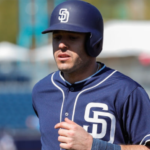 Ever since coming off the DL, Renfore has been hitting like a man on fire, which may be necessary as they’re are only so many spots to go around once Wil Myers and Franchy Cordero come back from their injuries. Renfroe would scamper to third on a wild pitch and would score on a Freddy Galvis sacrifice fly. Richard, however, was dealing for the Padres. Richard would induce weak fly balls from Marlins hitters while his defense behind him gobbled up groundballs left and right. Richard even had the strikeout pitch going for him, striking out Jose Urena and Starlin Castro in the third inning while tying up J.T. Realmuto to lead off the fourth inning. An impressive charging play from Jose Pirela at second base would get JT Riddle at first base to rob a base hit and end the fifth inning. The sixth inning for the Padres began with a Travis Jankowski base hit. 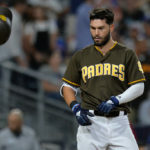 Eric Hosmer would come up to the plate and, on a full count, clubbed a fastball that flew 105.9 MPH off of his bat and 419 feet to deep center that would cushion the Padres’ lead to 3-0. Richard would continue to masterfully pitch with the wider lead, getting a ground ball out from Brian Anderson and getting a line drive out caught by Manny Margot to end the sixth inning. 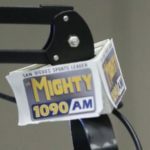 However, the Marlins would finally burst through in the seventh inning with a two-out single from Miguel Rojas, followed immediately by a RBI single from Riddle. Richard would get out of the inning by getting pinch-hitter Derek Dietrich to ground out. After Richard exited the game, they dynamic duo of Kirby Yates and Brad Hand would take care of business as per the usual in the eighth and ninth inning respectively. 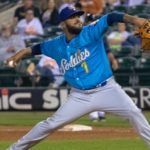 Yates would strike out two with his dazzling splitter and even got a sprawling dive from Christian Villanueva to swipe a base hit away from Castro to lead the eighth inning off. 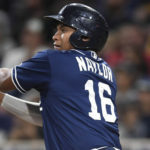 Hand was as sharp as ever and would strike out Brinson on a slider to end the ballgame and preserve a 3-1 Padres victory. 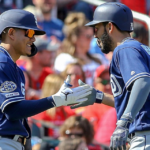 San Diego has now won their fourth series in a row with today’s win, a streak that extend to May 28 when they began a four-game series against the Marlins. They took three out of four games against the Marlins, two out of three against the Cincinnati Reds, two out of three against the Atlanta Braves, and now took two out of three games against the Marlins. 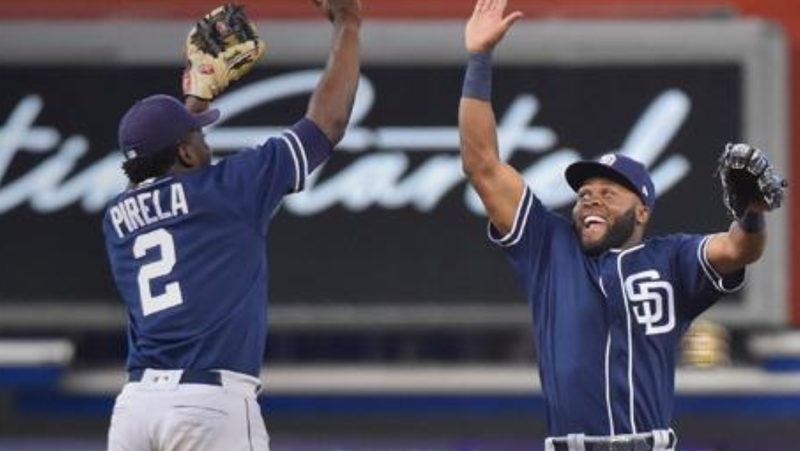 San Diego is now 21-16 since the start of May.